Large U.S. flooring retailer cuts corners with products causing 30% drop to its stock price, a reminder why you shouldn't make large plays on single stocks. For those of you unfamiliar with Lumber Liquidators, it’s a Virginia-based, NYSE-listed retailer of hardwood flooring products with 352 stores across North America and revenues of slightly more than $1 billion. As recently as October 2013 its stock traded as high as $114 and had increased 700% in just two years. It was a home improvement superstar. And then the troubles began. Weakness in its stock first appeared in 2014 as same-store sales growth came to a grinding halt delivering negative results in all four quarters. It lost 36% of its value in 2014 after racking up huge years in 2012 (up 199%) and 2013 (up 95%). Although the conventional explanation for its problems can be attributed to its negative same-store sales numbers, something much worse lurked in the background. Xuhua Zhou, a 25-year-old investor from California, who dropped out of UCLA’s doctoral finance program in 2013, started checking out Lumber Liquidators stock after noticing its gross margins increased by 25 percent in just three years. What drove those margin improvements? Cheap flooring from China; some of it illegally harvested, some of it tainted with formaldehyde levels higher than legally allowable in the state of California. Zhou personally bought some of Lumber Liquidators product and paid to have it tested. The results led him to short its stock and publish his findings on Seeking Alpha in June 20, 2013. Shortly thereafter, Whitney Tilson, a well-known investment manager in New York, took up the case and its proverbial goose was cooked. Of course, the latest bad press from 60 Minutes didn’t help either. Facing potential federal government investigations, its stock is sitting at 52-week lows with little hope for recovery. Here’s where advisors come in. Suppose you had a client who came to you in 2014 and said he or she wanted to bet heavily on Lumber Liquidators. Most advisors, we would hope, create diversified portfolios for their clients protecting against any downside surprises such as this one. At that point you might have recommended your client buy the SPDR S&P Homebuilders ETF (XHB), which owns Lumber Liquidators and 36 other companies related to homebuilding, giving your client exposure to LL stock while limiting the downside. Or, you might have bought some shares for the client but only at a weighting that the portfolio could support should things turn south, which in hindsight they have. Advisors, when looking at the best interests of their clients, utilize diversification as a way to reduce or eliminate unsystematic risk. When WP asked B.C.-based advisor Ken MacCoy about this particular subject, as always, he cut right to the crux of the matter. 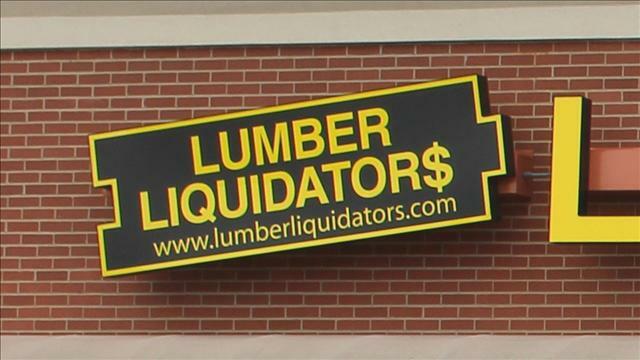 So, the next time a client wants to throw caution to the wind, tell them about Lumber Liquidators. Its fall from grace is all too familiar.